Since the Middle Ages, pilgrims have gone to Berlens to implore the miraculous Virgin. 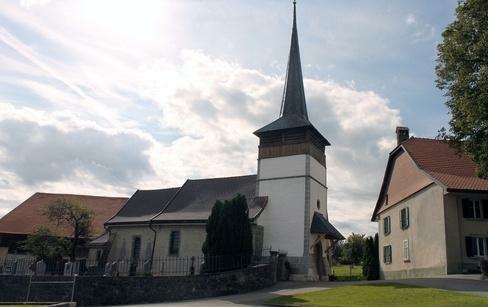 The chapel stands on Romanesque foundations and was rebuilt in the 14th century. In 1980, Jean Bazaine, one of the French masters of lyrical abstraction, adorned the chapel with stained-glass windows inspired by the thorny bush in which the Virgin is said to have appeared.